Heat 1 tablespoon oil in medium skillet over medium-high heat until shimmering. Add corn and cook until deep golden brown, about 4 minutes. Add cumin and cayenne and cook until fragrant, about 30 seconds. Transfer to large bowl. Whisk remaining 2 tablespoons oil, lime juice, salt and pepper in small bowl. 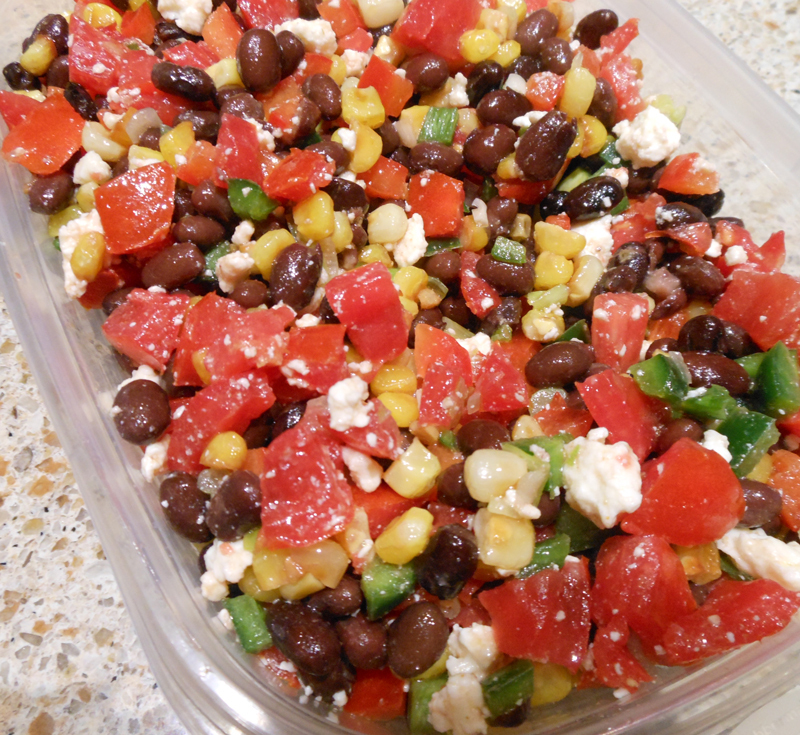 Add to corn mixture along with tomatoes, beans, bell pepper, jalapeno pepper, scallions, and cheese. Toss well and check seasoning. Cover with plastic wrap and refrigerate several hours or overnight until flavor to meld.